What better place to plant your roots than an area with strong roots of its own? Kingsport’s rich history manifests itself every day through historical landmarks such as Netherland Inn and Exchange Place, as well as the lively downtown streets filled with local art, lofts, cafés, live music, and beautiful old buildings. Celebrating with community festivals, the Independence Day Parade, American flag lined streets and the Kingsport Veterans Memorial, heritage, tradition, and patriotism are held close to the hearts of those who call Kingsport home. Because Kingsport is growing at a steady rate, its culture and scenery are enjoyed without the crowds and noise accompanying many other Southern cities. Kingsport offers the amenities and opportunities of a large city, with the cost of living and quality of life of small-town living. When you get the itch to travel, Kingsport is the best starting point. 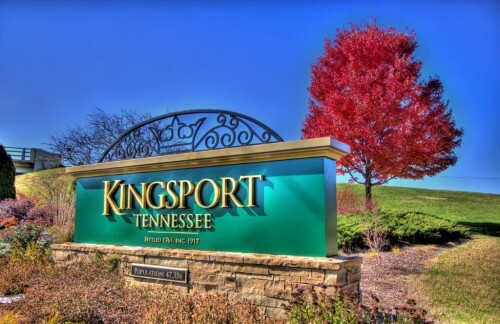 Conveniently located by Interstates 26 and 81, and equipped with an easily accessible regional airport, Kingsport allows for smooth travel to any destination. While Kingsport may be conducive to travel, guests may never want to leave the serene, secluded mountain atmosphere and captivating Southern hospitality where locals are devoted to their community, their faith, and each other. Kingsport’s location in Northeast Tennessee provides perfect fall temperatures and foliage, moderate winters with light snow, bright spring flowers and warm summer temperatures, creating pleasant, scenic walks year round at Bays Mountain Park & Planetarium and on the Greenbelt’s nine-mile walking and biking trail. Not only does Kingsport boast a beautiful outdoor environment, but it also houses a great educational environment. Students receive topnotch education and top priority – one of its high schools is ranked as a top four percent American Public High School. Kingsport also offers to fund the first two years of community college tuition for every graduate. Home to the global headquarters of Eastman Chemical Company, Kingsport is also a great place for business enterprise. The city has enjoyed tremendous growth and development with more than $3 billion in business investment in recent years. 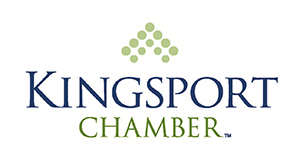 While all of these things add to the charm of the city, Kingsport would not be where it is today without the “Kingsport Spirit.” This phrase, coined by the founder of Kingsport, describes the relentless enthusiasm of its residents to make Kingsport a great place to live through its dedication to the community, its residents, and its businesses. The “Kingsport Spirit” is what makes Kingsport feel like home.